Well, we have Anne to give away for the sentimental (and mostly because I want to guilt someone else into reading them). Now something fun for the young and impressionable (which really covers all ages, you know). I have a set of three books to giveaway to one of you. I've picked up these books myself and want to pass them along to someone who might appreciate them (or who really needs to read them). I read and reviewed (and adored) The Castle in the Attic last July and think it's a beyond fabulous read, especially for young men learning how to be honorable in today's day and age. The message of this book is something I can definitely get behind and would love to pass along to one of you. Mrs. Piggle-Wiggle is someone I met through Sherry at Semicolon and I haven't been disappointed by one of the titles yet! 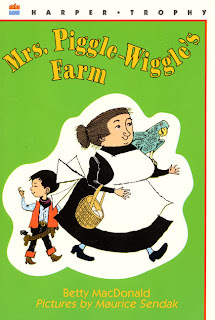 I accidentally picked up two copies of Mrs. Piggle-Wiggle's Farm and my mistake is your gain! If you have not yet met Mrs. Piggle-Wiggle, I highly recommend her to you. You do not have to read the books in order as it has been my experience that each book can stand alone. Definitely an amusing series with points to me made! (I like the points author Betty MacDonald has to make) and am happy to be able to pass along a copy to one of you. Lastly, of course I'm going to giveaway one of my favorites. 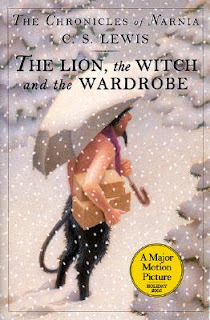 If you haven't read The Lion, the Witch and the Wardrobe yet - now is your chance! Of course, I'd heartily recommend that you read it as part of the Chronicles of Narnia Reading Challenge that I intend to re-host in July.....just sayin'. Truthfully, I'm not so much concerned over WHEN you read but THAT you read it! Definitely make a point to do so! You'll hardly regret it. To win? Simply leave a comment below! This contest is open to U.S. Residents only and will be open through Thursday, February 18th. I would love to win these. They would make a great gift for my tween son. I read Mrs. Piggle Wiggle books when I was a kid -- LOVED them! We could use that Mrs. Piggle Wiggle--I've never seen that one! castle in the attic sounds good. 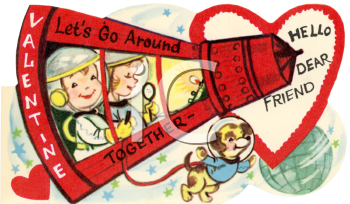 I am not entering the contest, but have a V-Day book I thought you and some of your readers would like. It is called, "Consider Love: Its Moods and Many Ways" by Sandra Boynton. It is a very very cute book...I gave it to my husband, but you could give it to anyone you love. It has very cute animal illustrations too boot. Worth checking out ya'll. : ) I read it to my little boy and he thinks it is oh so funny. 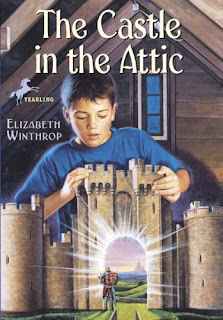 I would love to read Castle in the Attic. Castle in The Attic sounds good! So does Mrs Piggle Wiggle! We have Five Minute Devotions, I picked it up at Target a couple years ago, we love the animals and since it's God centered we end up discussing all sorts of interesting world views with the boys! How cool! Again, thank you for your reviews and your inspiration to read! I esp. loved your fave five today. WOW! You are being so generous right now! I'd love to win! My boys would love any one of these! Thank you for the giveaway. Castle in the Attic is the one I'm not familiar with, but I don't OWN any of these! Mrs. Piggle Wiggle was a favorite of MINE when I was little, and now I have two adorable little granddaughters who will be ready for these books at some point! Thanks for your wonderful giveaways! I'd love to read these :) *Thanks* for the giveaway! Oh, I know my children would love these! Fabulous books that you have here for a giveaway! I would love to be entered....love to read Castle in the attic. What a great giveaway. This has been my favorite series since I was a little girl !